Creating Safe Work Environments Starts with Engagement. Organizations that recognize the direct link between employee engagement and safety outcomes report 70% fewer safety incidents than organizations that do not. Many organizations continue to focus their safety programs solely on lagging indicators that only address incidents after they occur. However, forward-thinking organizations have begun to realize that by taking a holistic approach to injury prevention that focuses on safety behaviors over safety incidents, they are able to prevent safety incidents before they happen. A strong leadership commitment to safety is crucial to true workplace safety. When safety is built into the mission and values of an organization, employees are able to see the value that the company places on their well-being and are more likely to take a vested interest in recognizing and reporting hazards. 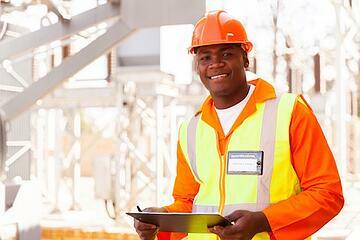 Active participation in safety initiatives is vital to the evolution and success of any safety culture. For more examples of what can happen when your employees are engaged, you should check out Gallup's State of the American Workplace report. This annual report serves as a great starting place for understanding the value of employee engagement and recognition. SMARTER KPIs for a SMART Safety Incentive Program?